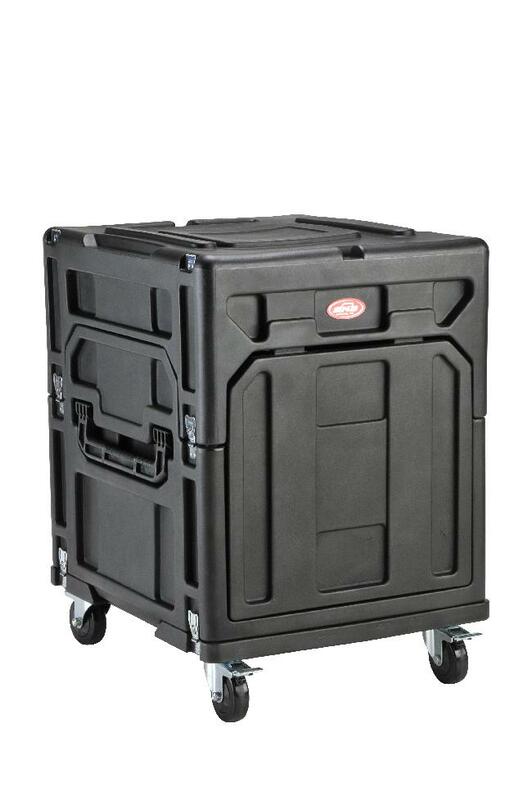 The SKB Gig Rig series has set the standard for mixer/rack cases for more than 15 years. The 4th Generation Gig Rig raises the bar yet again. Based on the 1SKB19-R1406 Mighty Gig Rig design, the 1SKB19-R1208 Gig Rig provides more versatility than previous generation Gig Rigs. 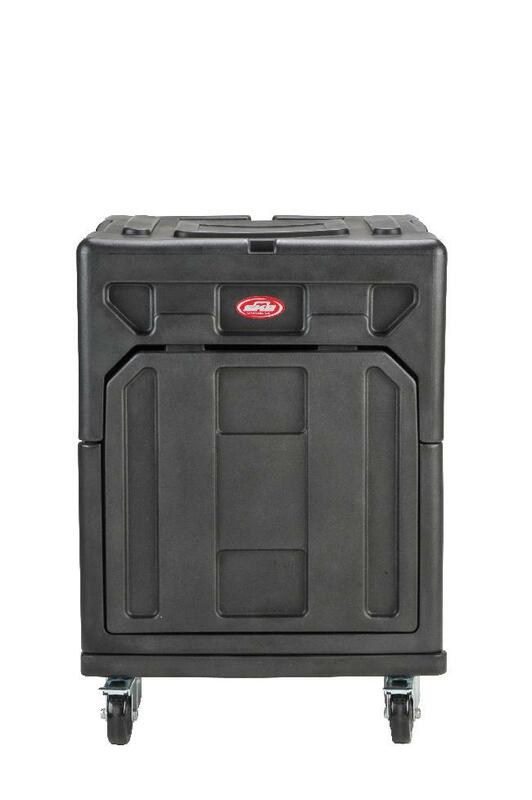 Roto-molded of Linear Low Density Polyethylene (LLDPE), the 1SKB19-R1208 Gig Rig has a uni-body construction that is extremely durable. The 7? angled top steel rails are 12U rack spaces with extra room in the back for cable connections. 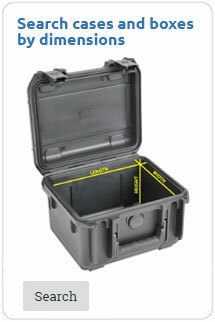 The lid provides enough space for cables to stay connected as well as, space for the optional 1SKB-AV8 retractable shelf. 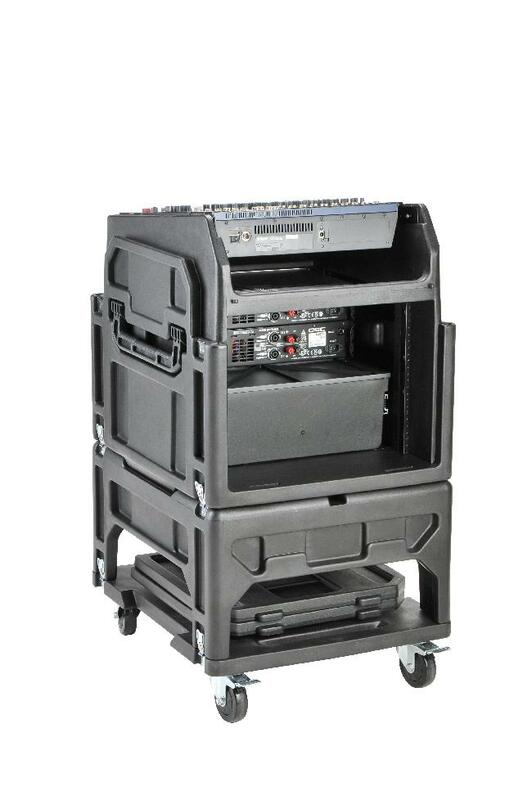 The front facing 8U steel rails provide enough space for amps or outboard gear. 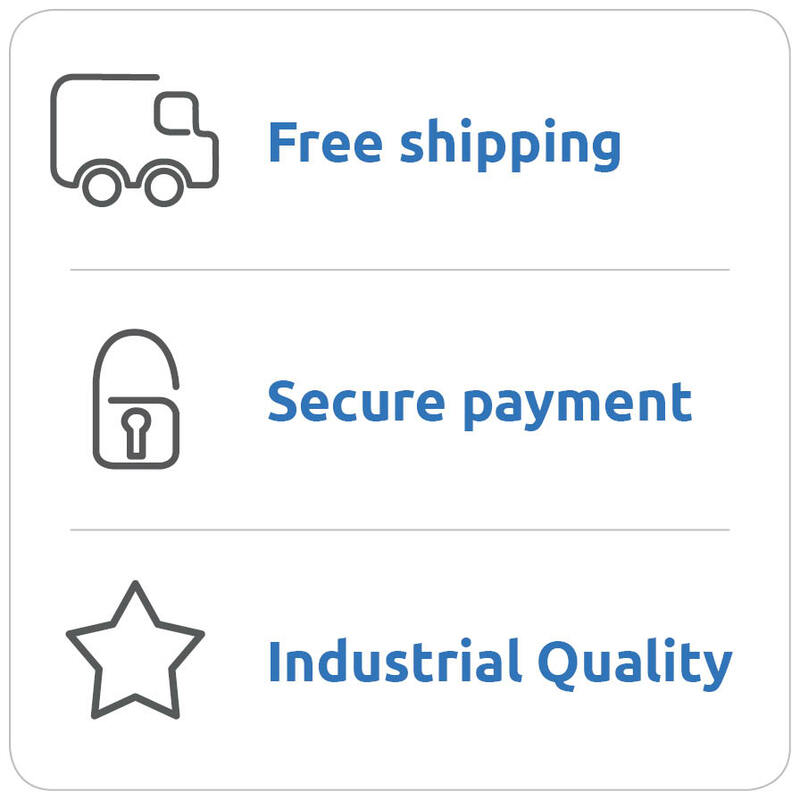 8U Rear rack rails are included for additional mounting, storage and support. 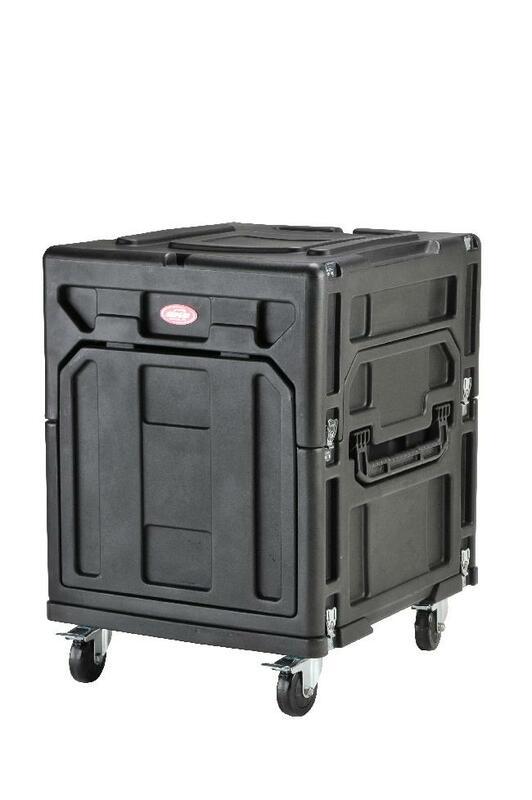 In the same fashion as the Mighty Gig Rig, the lid can also be used as a pedestal for the 1SKB19-R1208 Gig Rig. 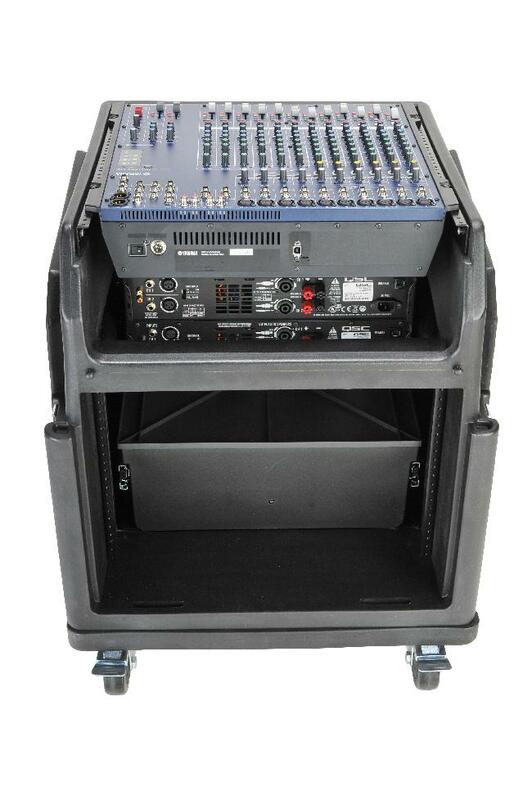 By placing the lid on the bottom wheeled skid and locking down the Gig Rig on top, the mixer height has perfect performance position. The 1SKB-R1208 Gig Rig includes two injection molded extra-long handles, (one per side) for easy lifting in transport. Four heavy-duty locking castors complete the new Gig Rig.